Thanks to everyone who dropped by the Sisters in Crime booth on Saturday–it was lovely meeting you all. 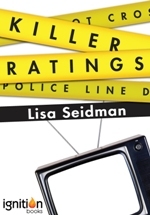 And a special thank you to those who bought “Killer Ratings.” I hope you enjoy it! “I’m sure you’re a good writer on other shows, Lisa, but just not on this one,” were the painful words the headwriter of the daytime soap I had been writing for told me right before she fired me. Ouch! In the world of TV writing, getting fired is inevitable. Bryce Zabel, a well-respected television writer and producer, once told my UCLA screenwriting class that if you weren’t fired at least once, you weren’t a professional writer. Andy Zack, my literary agent, sent Killer Ratings to every publisher in NY only to have the novel rejected by every publisher in NY. 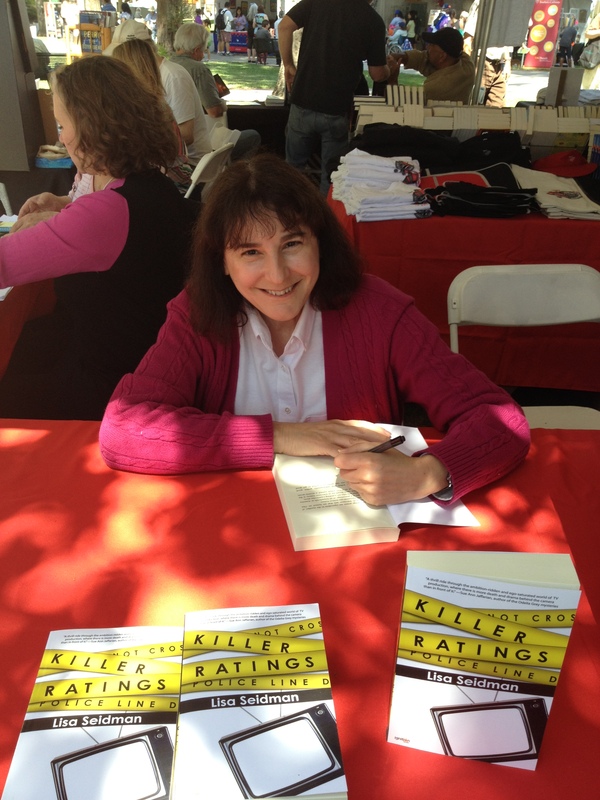 It wasn’t until the emergence of ebooks that Killer Ratings managed to find a home with Ignition Books, an e-publisher. So, how do you handle rejection in a way that doesn’t cause you to spend years feeling bad about yourself and giving up writing forever? To face the disappoint when your book or your script is not met with overwhelmingly love followed by a paycheck? First, take the time to feel bad. But don’t take too much time. Whenever I get a call from either the headwriter or my TV agent, telling me my contract was not being picked up for renewal, I call my mom and cry on her shoulder. Then I call a couple of good friends and cry on their shoulders. But I set a limit to my mourning. Three days to a week of feeling sorry for myself but that’s all. Otherwise, I’ll become obsessed with the bad feelings the firing (or rejection letters) engender and not get back to work at all. And by “work” I mean my own writing projects, those I write during the times I’m unemployed. I’ve written a first draft of an epic-romance novel, two TV pilots (one of which was bought by Russia) and even Killer Ratings, which, as you know, had its own happy ending. Writing my own projects gives me control of my life. No one can criticize what I’m writing except myself. (But be careful of self-censorship–which will be another post in the immediate future!) I may be unemployed but yet I’m not: I get up every morning, write my five pages and feel as if I’m accomplishing something. And when I get a call from my agent that another show is thinking of hiring me and do I have something new to show them, I usually have that fresh spec pilot I wrote while waiting for the phone to ring. Rejection is tough but as long as you realize writing is subjective and you keep writing you won’t stay “rejected” for long. You have an idea and you’ve started writing. You’ve followed my advice and not talked about your story with friends or family. But at some point you will need feedback on what you’ve written, to find out if you’re on the right track, to get inspired to move forward with fresh ideas or to rewrite and make your work better. Who do you show your work to? Your instinct may be to show your work–finally!– to your friends and family, but if they love you (as they should) you might hear only words of praise, which is lovely and ego-boosting after slaving away for weeks and months on creating your “baby,” but not particularly helpful. Or, if they have an ax to grind, they might instead be unusually harsh. My dad, after reading my “Hill Street Blues” spec said to me, “It’s like a regular ‘Hill Street Blues’ episode, but it’s nothing special.” Thanks, Dad. That was 30 years of therapy. My recommendation is you take a writing class. As someone who has taken classes herself as well as taught classes (twelve years at UCLA Writers’ Extension and now starting my second semester at USC School of Cinematic Arts), I find that a classroom situation helps you get the best feedback from students and teacher. A class also provides discipline and deadlines, both necessary when writing on spec. It’s important that you attend class with an open mind, understanding that your work needs to be improved and rewritten. For instance, in that same class, on the advice of the teacher and students, I changed the name of the book from “Forty Share” to “A Killing in the Ratings” (a writer friend later recommended I shorten it to “Killer Ratings”) and I introduced the plot point of Rebecca, Susan Kaplan’s boss, receiving death threats in order to introduce tension to the story early on, since Rebecca’s death doesn’t occur until several chapters later. When I was writing my first soap opera in Russia (“Bednaya Nastya” aka “Poor Anastasia”) my Sony executive, Jeff Lerner, would give me notes, and my reaction was always to say no, or to argue with him. He told me to change my default “no” to “That’s interesting, I’ll think about it,” and to not tackle any changes based on his notes until I had a day to digest them. I urge you to do the same. There were plenty of times when Jeff would give me a note and I’d think, “No way am I going to do that!” Or, I’d hang up the phone, go back to my hotel room, his notes whirling around in my head and be depressed, not knowing how to give him (really, the story) what he was asking for. So, if you take a class, enter it with an open mind, a desire to improve your work and to collaborate. You’ll find that the feedback you receive is ultimately more rewarding than if friends and family did nothing but strew flowers in your path. 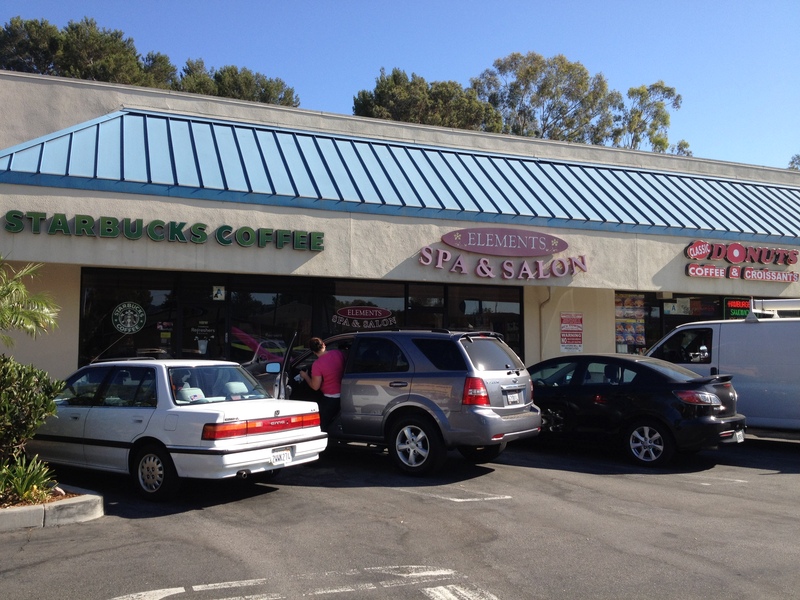 Susan meets someone at this Starbucks but it’s at the neighboring doughnut shop where she learns something that blows her mind.